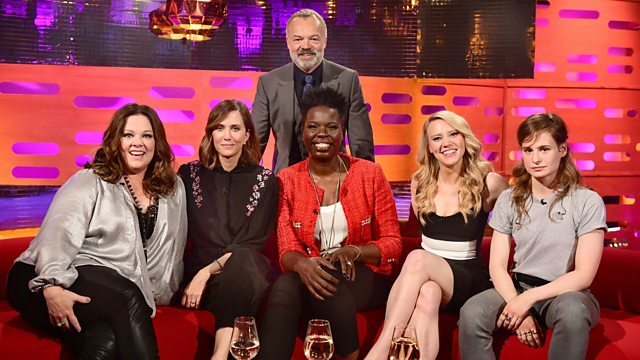 Tonight, Kristen Wiig and her Ghostbusters friends are appearing on the UK talk show “The Graham Norton Show” to promote the film in Europe. Two clips from their appearance have been added to the show’s YouTube-channel, both of which you can watch below. The first one has the ladies talking about their co-star Chris Hemsworth, and in the second clip we get to see Ghostbusters director Paul Feig get slimed. Stay tuned for more coverage.